When it comes to wedding etiquette, there are many ‘rules’ that tradition has created and passed down over the years. Along with what today’s society deems is acceptable and what is a complete no-no, it seems that EVERYONE has an opinion. We unveil the big 5 old-school wedding etiquette alongside its modern day equivalent protocol. It’s your wedding at the end of the day so it’s whatever you decide. Back in day, guests wearing black or white was absolutely frowned upon. Black was strictly reserved for funerals whilst white was left solely for the bride. Whilst today, black has become an acceptable colour to wear, white is still out of bounds. Unless you are asked to wear white, don’t. Fine if it’s a white dress with a print or even a dress with white in it but it’s probably safe to say steer clear of ivory and cream as well as white. Old-school wedding etiquette says that gift registry details should be passed on through word-of-mouth. Whilst this seems rather antiquated in the 21st century, our ancestors considered the inclusion of registry details on the invite to be a complete taboo as it was deemed as a solicitation of gifts. 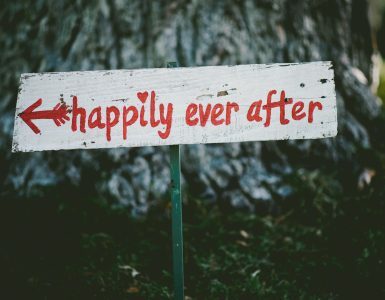 Whilst many will now include details on their wedding website, if they have one, or with the bridal shower invites, a lot of modern day couples are choosing to ignore this rule and include it on, or as an insert with, their wedding invitations. Lets not beat around the bush. 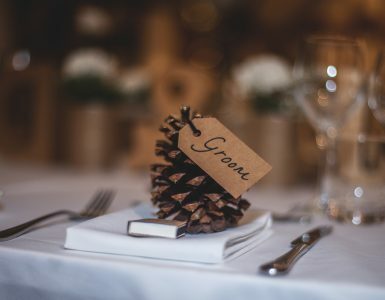 Guests expect this information and from a practicality point of view, it’s just easy to include it along with invite, the one thing that all guests will refer to for information about the big day! Are you confused about the ‘plus one rule’? You’re not the only one. Generally, as a rule of thumb, couples that are married, engaged, or cohabitate must be invited as a pair (even if you have never met the other half). This is all fine and dandy but what if you don’t have the budget to stretch? You might, as a result, prefer just to invite the half of the couple you do know (and have met at least once!). If you plan to allow guests, be sure to take a consistent approach e.g. including plus ones for anyone in a relationship (possibly be specific with an age threshold e.g. 18 and over and/or consider longevity of relationship as a deciding factor e.g. 1 year plus). A receiving line was the post-ceremonial custom and considered proper etiquette not so long ago yet it is often forgone in favour of visiting each reception table, greeting your guests and thanking them for being with you on your special day. However, circulating guest tables can take up a fair chunk of time so if you think you’re going to be pushed for time, restore the receiving line but ensure that things move on swiftly. Whatever you choose, don’t forgo the task of greeting and thanking all of your guests individually. Whilst western tradition calls upon the bride’s parents to cough up the cost of the wedding (in many asian cultures, it’s the groom’s parents that fork out for the celebration), many couples now offer to split the costs between the families and/or themselves. With the average wedding costing anywhere between $36,000- $65,000, its not cheap so to expect the bride’s family to pay for all of it seems rather unfair not to mention sexist and rather archaic.